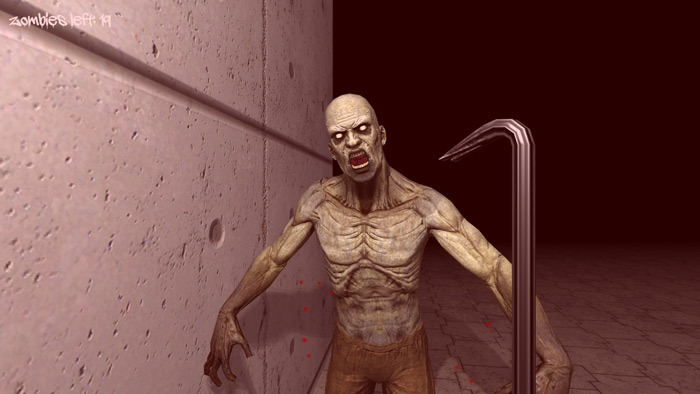 Crowbar Fight is a fairly basic zombie fighting game, basically you are stuck in a warehouse with twenty zombies and only a crowbar to protect yourself so you must try to fend them off and hopefully kill all of them to complete the game. The good thing about this game is it has zombies in it but not much else even the scenery is the absolute bare minimum with a few crates scattered around the warehouse and that’s it although a good amount of detail has been put in to the zombies they all have exactly the same appearance. 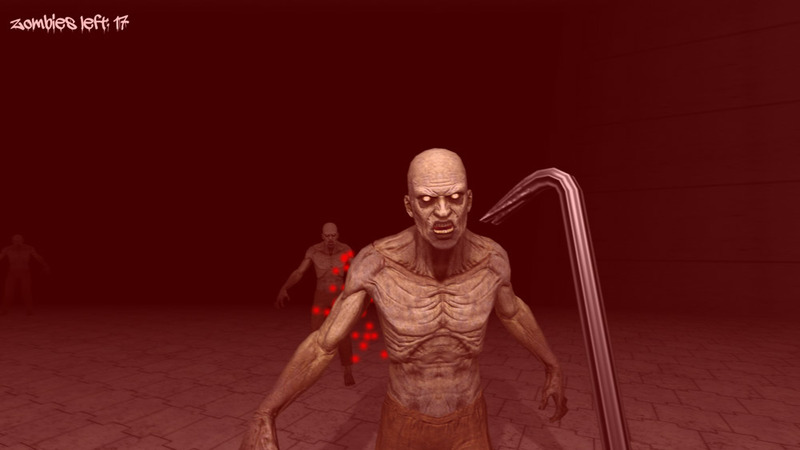 The game only lets you move and use left click on the mouse to use your crowbar but even lining up the correct hit on them can seem strange as you have to be so close to them to kill them that they nearly always affect your health as well although if you can escape for a few minutes it will increase again however as the zombies start to move in packs rather than separately it becomes almost impossible not to die whilst attacking them. Zombie fans may get a kick out of this but it won’t occupy you for long as gets very repetitive very quickly however if you just feel like smashing the proverbial out of a zombie with a crowbar then you can’t really go wrong with Crowbar Fight. 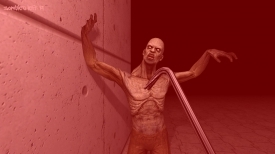 You can download Crowbar Fight here for free.